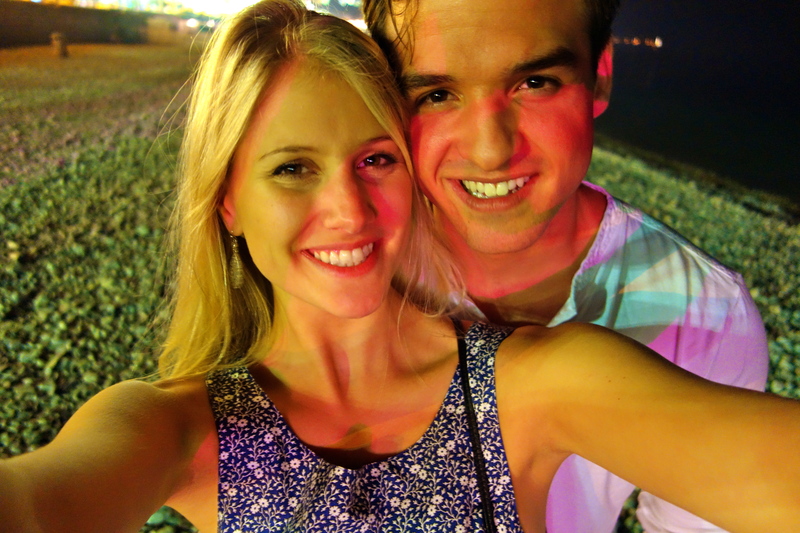 This past weekend I traveled to Nice with my boyfriend, Kevin. It’s always been a dream of mine to visit the South of France, and having Kevin along for the trip was the cherry on top of the (extremely decadent) ice cream sundae. 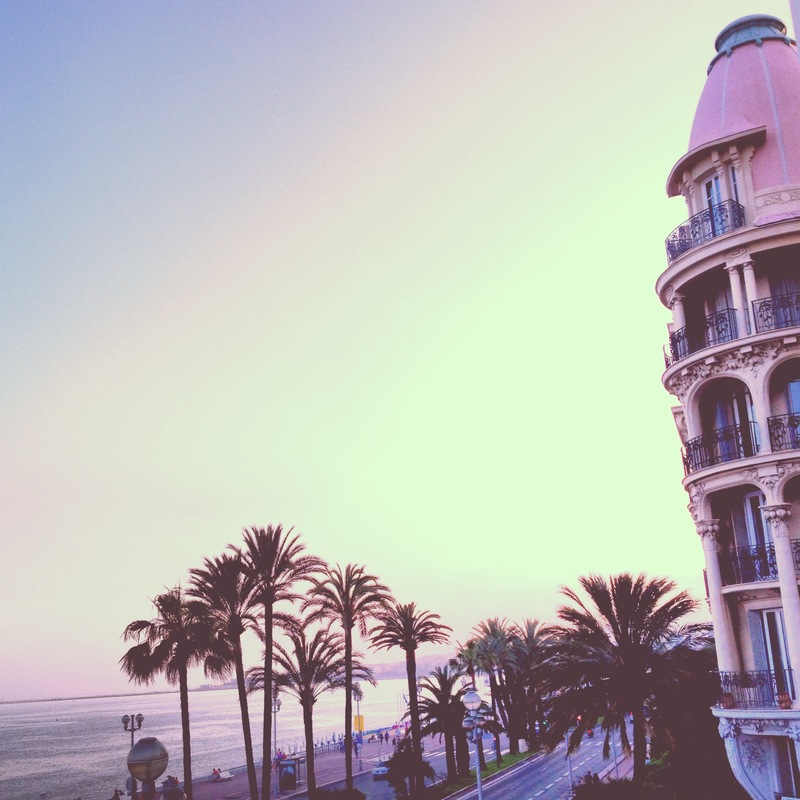 Our first evening in Nice greeted us with an overwhelming level of perfection. It was about 72 degrees, simultaneously humid and breezy- my ideal weather situation. 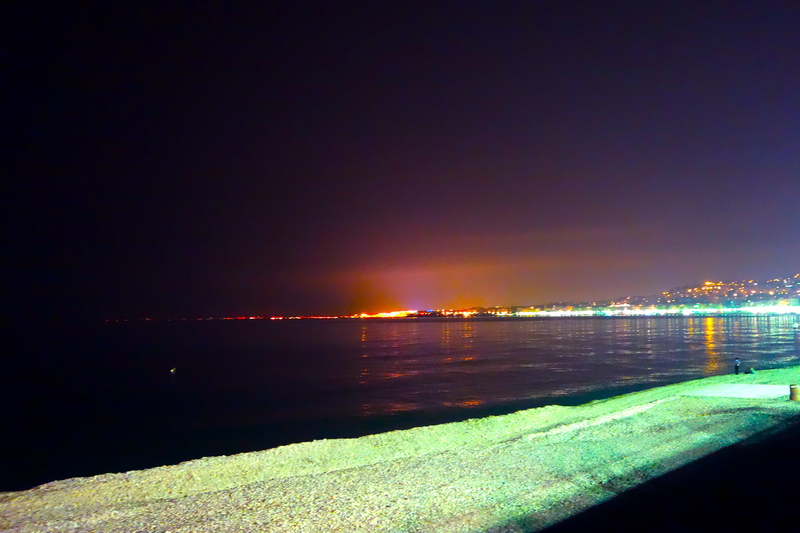 We showered, dressed in our South-of-France-bests and strolled down les promenade des anglais (the big boardwalk along the beach) to find dinner. 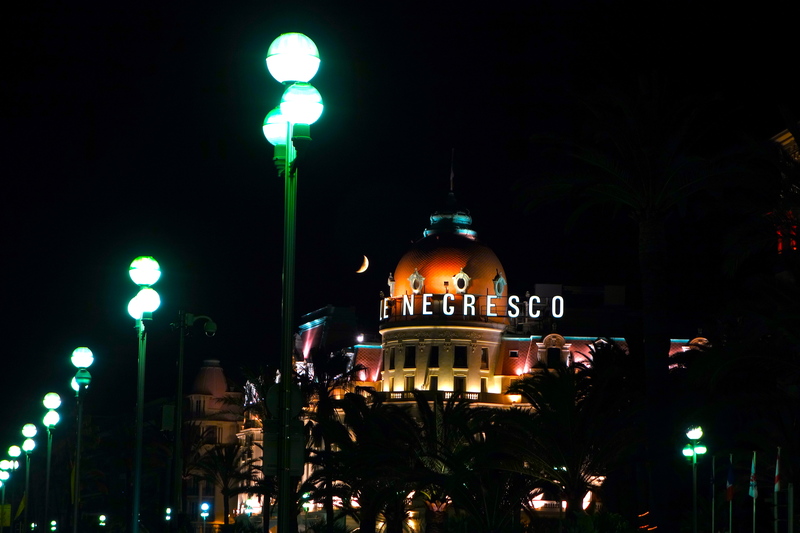 We settled on a neighboring hotel’s prefix 3-course dinner special (although our hotel, Le Negresco, was absolutely the focal point of the strip- and for good reason- its restaurant charges an arm and a leg just for an appetizer…not exactly our speed). Dinner was delicious and just what I needed in my “hangry” state (dancers- you know what I mean!). After a few glasses of wine, we headed down to the beach to check out the water and the rocky shoreline. 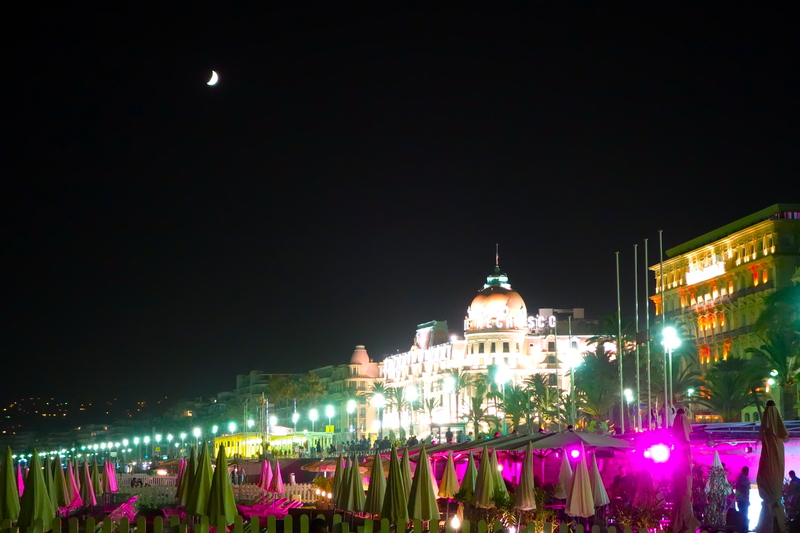 Could Nice have been any more welcoming? Je pense que non. 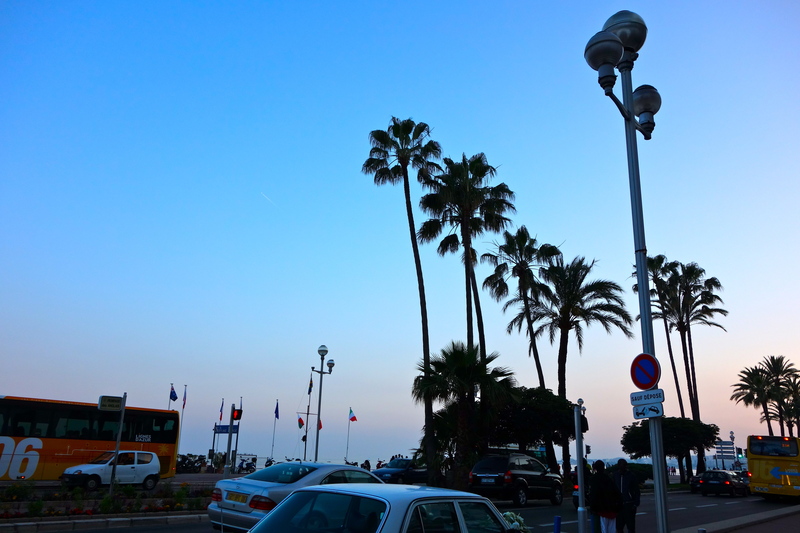 This entry was posted in Travel and tagged beach, france, French Riviera, Mediterranean Sea, Nice, palm trees, photography, Promenade des Anglais, Southern France, travel. Bookmark the permalink. 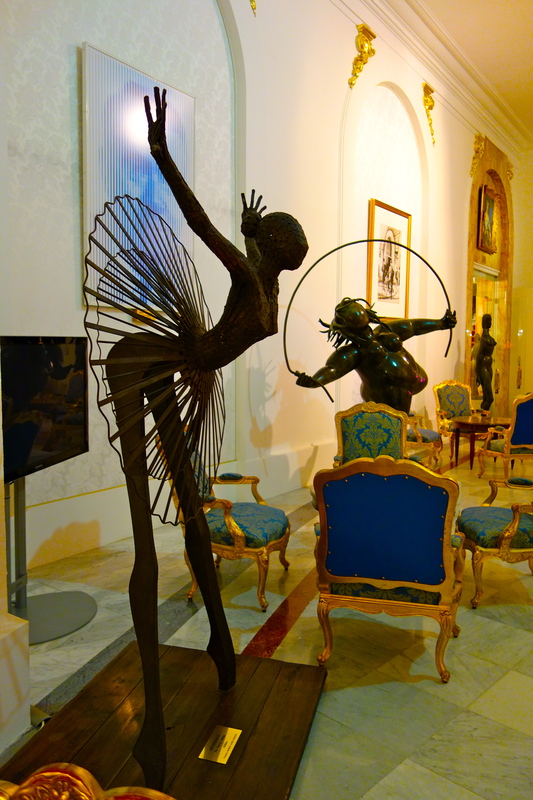 I’m enjoying following your blog…love the sculptures!